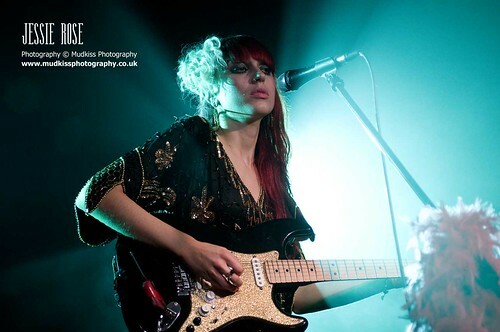 Manchester’s soulful singer/songwriter Jessie Rose is ready to take the world by storm in 2013. After a successful year full of countless shows around the UK and America, plus writing material for her debut album; it looks like it’s all set for the charismatic electric guitarist to show everyone the true power of her killer voice and addictive sound. 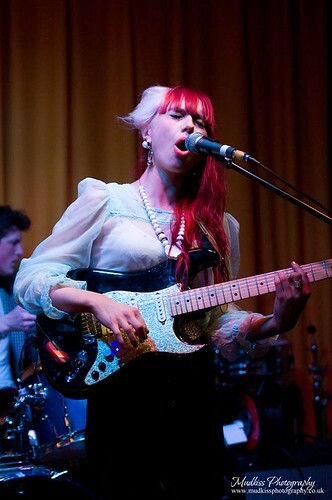 Her guitar and vocal skills have been compared to the likes of the amazing Jimi Hendrix or Amy Winehouse, and rightly so. Jessie Rose brings a mass of energy, spark, excitement and girl power back on the music scene. In the interview below, the singer talks about the peaks of 2012, big upcoming show in Manchester and forthcoming plans for next year. EVA: Summing up 2012, would you say that it’s been the biggest year for you and your music so far? JESSIE: I think so, but it's really all been working towards 2013. I'm hoping the year ahead will be the biggy! Lots coming up so I'm very giddy! (I didn't purposefully mean for that to rhyme by the way). EVA: One of the big steps must have been signing to Warner Bros. How did it happen? JESSIE: We're actually signed to S-Curve records (Universal) in the US but S-Curve licensed us to Warner Bros for the UK a few months ago, so Warner are essentially our UK label. It all came about via our record label boss. We had a big showcase in London with all the Warner team there to really see if they actually liked us or not, and it must have gone pretty well because they're putting our record out here next year! Yay! EVA: You also worked with Nokia and your song ‘Boy Boy’ was used in one of their adverts. Could you tell us about that? EVA: You’ve just come back from a tour in New York. What was it like to play in such a city? JESSIE: It wasn't really a tour unfortunately more just a few gigs around the city, a small US tour may be on the cards for 2013 though, fingers crossed! I absolutely love New York, such a vibey city! We're heading over in January to do more work on the album, I can't flippin' wait! EVA: You’ve done quite a few shows in America this year. What experience have you gained from playing over there? JESSIE: America's a great place to gig because the people are unbelievably encouraging and excitable! Makes your job as a performer or entertainer a little easier. I think you gain experience gigging anywhere to be honest. Although playing ‘South By South West’ in Texas earlier this year really tested us. We had to play 5 gigs back to back, using different equipment on each one and only had about 10 minutes to set up, really puts you under pressure! EVA: What kind of response did you get from the American audience? Do the crowds differ much from the UK ones? JESSIE: Well us Brits can be a bit more reserved when it comes to showing the love at gigs, maybe not for known acts but for newies it can be tricky, whereas in the states they just go bonkers and it makes you feel amazing! Even industry people don't have any qualms about whistling and whooping to show their love, you would never ever get that from industry folk here really, they tend to hide right at the back of the venue, arms folded, whether they're enjoying it or not! EVA: You also like fashion and you've got a great original style of your own. Did you have time for some shopping while in New York and did you pick up any good fashion tips? JESSIE: That's lovely of you to say, thank you! I tried to do a bit of Christmas shopping whilst I was in New York but it was just so expensive! Vintage stuff over there is all at designer prices, it's crazy! I actually think we have it pretty good here in the UK, we seem to have a lot more high street options as well as tons of amazing and affordable vintage shops and fairs. I still think the UK rules the fashion world I'm afraid, sorry New York, I love you but not enough to pay $400 for a vintage jumpsuit! EVA: What is the best place for you to write music and where do you draw your influences from? JESSIE: I love having time to myself, no interruptions! It's generally when I come up with the best stuff. I'm a huge fan of films as well, I try and go to the cinema once a week because when I come out I feel so inspired, depending on the film obviously, but there's something about it that really gives me the energy and urge to create. EVA: You are playing the Manchester Academy in mid-December. Are you ready to put on a big show in your hometown? JESSIE: I can't actually wait!! The boys and I have been working hard in rehearsals and we have a few little tricks up our sleeves! For every hometown show I really try and make sure that we introduce new songs, new jams and the odd surprise! I'm not really one to just play the songs back to back without any extra flourishes, what's the point? I like to keep it interesting for the audience as well as for myself of course! It's partly me just getting ants in my pants and wanting to do everything in one show! 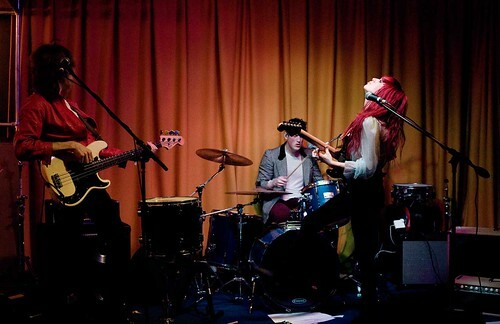 Manchester gigs we get away with it though as we have a staple and supportive crowd that just go crazy. Bring on December 15th! EVA: Other than that, do you have any more plans for the rest of the year? JESSIE: After our show at the Academy and on the lead up to Christmas the boys and I will just be getting ourselves prepared to head over to New York in January. We're going over for about a month to do more work on the album and to have our EP mixed. Hopefully 2013 will be the year that we start getting out there officially, 'bout flippin' time! EVA: Finally your debut album is set for release next year. What can we look forward to? JESSIE: I am super excited to finally get some songs out for people to hear. All the tunes are there, I spent a lot of time writing this year and I'm really pleased with the results. We just need to finish getting them properly recorded now which is why we're heading over to New York. Expect more guitar, bigger beats, hooky melodies, soulful harmonies and... Well I guess you'll just have to wait and see!